It's been a while since I cried my eyes out on reading a book. I cried near the middle and I think I cried all the way through the last few chapters, real sobbing! I did have a little problem maybe half way through the book when I though it got a bit lost in descriptions of things that weren't relevant but skimming through those pages rectified that. It may just have been me wanting to get back to the story. I really loved this story ; a story of love between a woman and a child,a man and woman and between friends. The kind of love that lasts for a lifetime even if the person you love is not at your side. 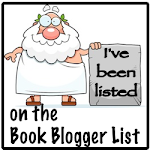 The book begins in 1940 with the child Pamela being found on the bus by Ellen. The bus is full of people who are escaping from the bombing in Southampton. In the confusion no one knows where Pamela's mother is. It was thought she was on another bus but everyone is so upset about the homes they left behind that Pamela's problem is somewhat forgotten. Ellen decides to take Pamela until someone claims her. She already has the evacuees all boys who are also from Southampton so a girl is a welcome guest. Ellen's husband Selwyn tries to find foster parent for the little girl and this enrages Ellen as she has fallen for Pamela and loves her already and wants to care for her which is exactly what her husband was afraid of. We go back to the 1930's and Ellen's childhood. A heartbreaking riches to rags story, so sad that she would never have survived if not for the kindness of a few people. The supporting cast in the book all had their place in Ellen's life. I Particularly liked Selwyn and William. I don't want to give any more of the story away as I feel it would spoil the book for you. Out now for kindle (7.99) Here which I think is expensive and in hardback. Maybe see if the library has a copy. Tyneham,a village that was evacuated in 1943 after being requisitioned by the army. All the residents had to move to other areas in the hope of returning after the war was over. I found this a sad part of the book. Over 200 people uprooting their lives and neighbours being separated. They did it for the war effort not knowing that the army didn't even want their homes only the land round about for training. They also didn't know that they would never return. 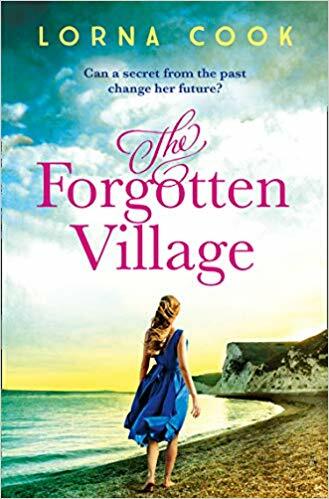 In 2017 Melissa is on holiday in Dorset when it all goes wrong and she has to find ways of occupying herself. She sees a notice that says that nearby Tyneham village is to be opened to the public for the first time. With nothing else to do Melissa decides to visit it. She meets Guy who is a TV celebrity and historian, his grandmother Anna was one of the residents evacuated from the village. 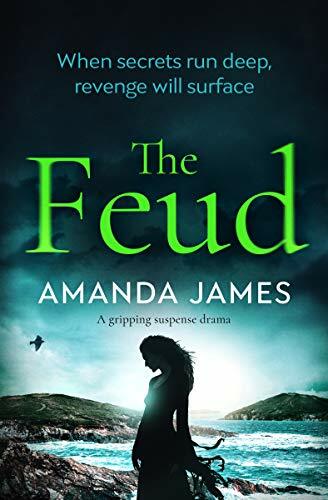 Together they become interested in the history of the place and when Melissa sees a photo of Lady Veronica and her husband she is disturbed to notice how unhappy and frightened Veronica looks and is determined to find out why. Both timelines held really good stories for me. I liked the interaction between Melissa and Guy and the fact that she didn't know he was a celebrity so wasn't in awe of him. The story in 1943 and of Anna and Veronica had me on the edge of my seat and biting my nails. 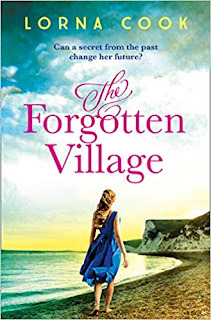 I would have liked to have have known more about what happened to the other residents of the village,where were they moved to? What kind of lives did they have? But maybe this is a subject for another book in the future. A book that held my interest and I enjoyed both timelines. Four teenage friends all go their separate ways in life. Twenty years later two of them bump into each other and decide to contact the others for a reunion. All four of them have misgivings about meeting up, will it still be the same? Have they all changed too much? When they do meet up we learn that there are a few secrets floating around that the women don't know whether to keep to themselves or share. 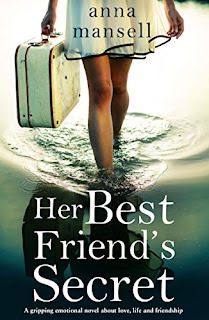 I really enjoyed this story of friendship and how even after twenty years apart it can still be revived. I liked how strong the women became when they had the support of each other. Published today. I haven't read this author before but I'll definitely be having a look at her other books. 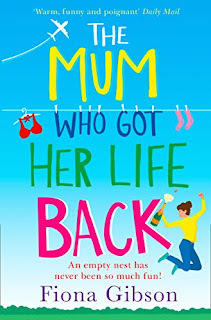 It's publication day for really nice rom- com story by Fiona Gibson. Nadia is getting her life back after her teenage twins leave home for university. She has a new man in her life and all is going well until her son lands back on her doorstep again. I understood how Nadia felt as when my daughter left home she kept coming back again and again, Usually just as I had redecorated her room to my liking. Alfie is an annoying teenager. Leaving everything on the floor,not clearing up after himself and being a vegan, to name but a few things. Nadia is feeling annoyed that her space and time with new boyfriend Jack is being invaded so she over compensates by paying a fortune for vegan food for Alfie and running after him like she would a toddler. Alfie eventually lets her down in a big way and causes a rift between her and Jack. Nadia seems just to accept this and I was surprised that she let Alfie off so easily. I loved the relationship between Jack and Iain, a volunteer at the charity shop Jack manages. Iain made me think of a young Roy Cropper from Coronation Street. I enjoyed this book especially as it is set in Glasgow. 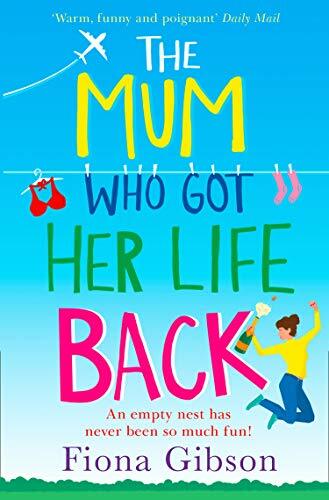 It's maybe doesn't have as many laugh out loud moments as some of the author's previous books but still has moments to make you smile and some tender ones too. 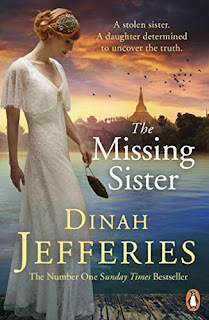 Dinah Jeffries once again whisks us off to the other side of the world and another time. In this book we are in Burma both in 1921 where we hear Diana's story and in 1936 where we hear Belle's. Belle's father has died and she is travelling to Burma to take up a job singing in a hotel. She also has another reason for choosing Burma. It is the place where her parents lived and where she has just found out her sister mysteriously disappeared when she was three weeks old. Her mother Diana was blamed partly because she had post natal depression and was acting strange. Her parents moved back to England soon after. Belle didn't receive much attention from her mother as a child then one day her mother was gone and a few years later her father told her Diana had passed away. Diana's story is heartbreaking. Losing her baby takes over her life and no one understood about post natal depression. Her husband is only sympathetic for a limited time then Diana has to face the consequences of what he decides for her. 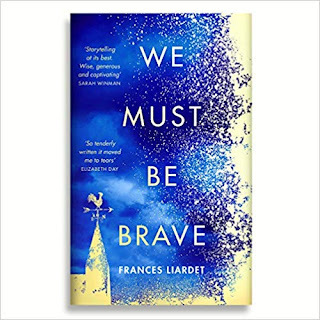 Once Belle begins her quest to find out what happened to her sister various people appear to want to help her but she doesn't know who to trust. Are they helping or are they trying to prevent her from finding out the truth. This was definitely a page turner. There seems to be danger for Belle at every corner. I was swept up with the descriptions of Rangoon and Mandalay. The markets, the crowded streets and the feeling of unease as Belle walked them. Belle seemed quite naive at first but gradually she became a strong woman who would stop at nothing to find out the truth. She had choices to make. Did she trust Oliver or Edward. Both seem willing to help but as she is warned off the one she is falling for, does she follow her heart or her head? I always enjoy a Dinah Jefferies book and this one lives up to my expectations. A really good read. When Charlie returns from work to her boyfriend's apartment in London where she lives she is met by another woman and finds out in the most embarrassing way possible that both her life in London and her job are over. Reluctantly she returns to her parents house in Midhope,Yorkshire where she finds both her sister Daisy and her father's mother Viviane in residence. Although this is the last place Charlie wants to be I could feel the love of her family surrounding her like a cosy blanket and thought that was exactly what she needed. Charlie's mum was mostly brought up by her grandmother Madge while her own mother was off doing her own thing ( which she still is). Madge at the age of 94 is now in a care home after a fall but expects to be returning to her own house soon. Through another family member, Charlie, Daisy and the rest of the family discover that Madge has another house,one she has not seen for sixty years and has kept a secret from everyone. We go back to wartime Britain and hear Madge's story of the love of her life and how she came to acquire the property, Holly Close Farm. 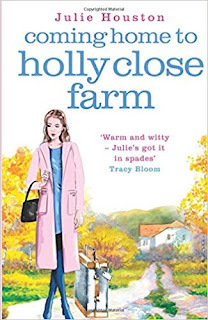 The story set in present day is full of laughs and funny situations as you get to expect from a book written by Julie Houston. The wartime story is a little different from her usual but proves that Julie is a versatile and emotional writer. I loved the wartime story. I held my breath when things seemed to go so wrong for Madge and wanted so much for a happy ending. The love within this family shone through the whole book. When the girls spoke about their childhood and the things they got up to. The love they had for their great grandmother as the tried to make life better for her. Unknown to them their mum secretly loves having the house with only her husband there so she doesn't have to cook and can indulge in her pottery hobby. A really good read and yes,I cried at the ending. Always a sign for me of a good story. Sorry no links working but out for kindle on Amazon and on sale in paperback.